India Photo Agency/SWNSSanjay Bahe, before the 90-minute surgery to remove the iron rod from his skull. Construction work is a hazardous vocation riddled with potential pitfalls and physical dangers. 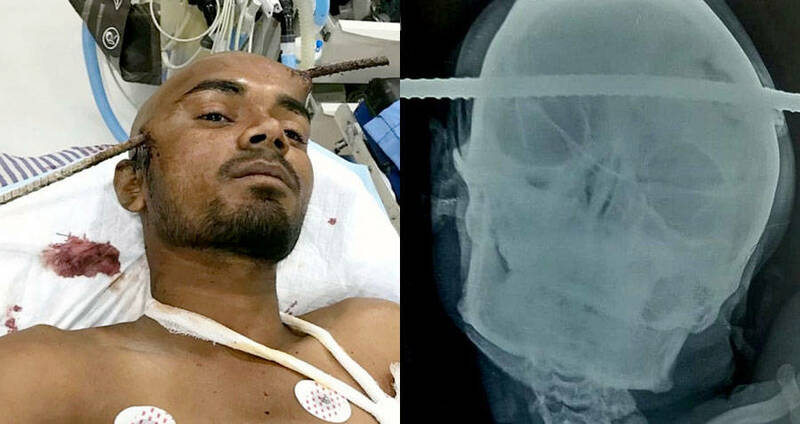 For 21-year-old Sanjay Bahe from Balaghat, in central India, getting an iron rod pierced through his skull will likely serve as a lifelong reminder of that fact. According to The Daily Mail, the young man was in the middle of repair work at a construction site when he accidentally fell into a well. 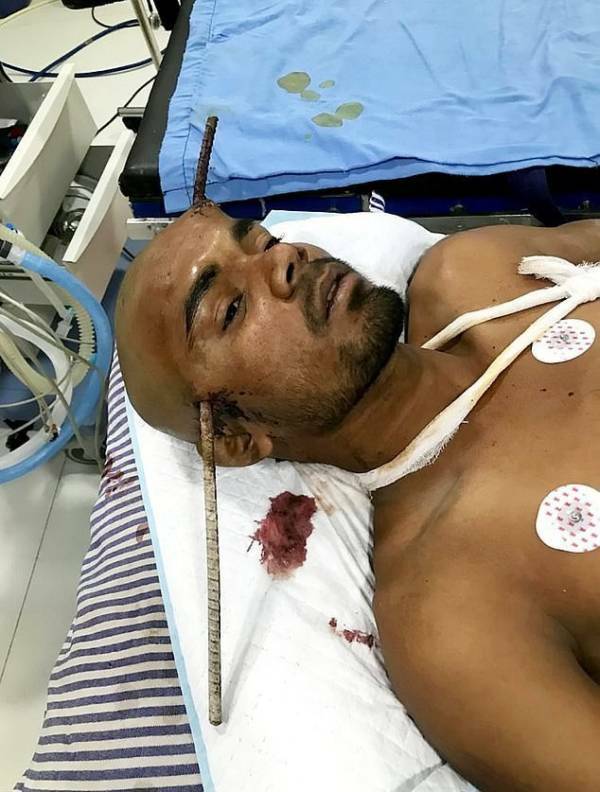 That split-second accident resulted in a large iron rod going straight through his head. While you’d typically expect such a thing to lead to irreversible damage or death, Bahe survived the gruesome accident without any serious consequences. After being rushed to B.J. Hospital in the nearby city of Gondia, doctors carefully removed the rod and assessed the damage. What they found was fairly shocking. India Photo Agency/SWNSA much-needed X-ray of Bahe’s skull, allowing Dr. Giri to take the most effective surgical approach. The diagnosis essentially found that the rod had entered Bahe’s skull through the right temporal region of his brain and exited through the left frontal region — but that it had somehow avoided causing any truly lasting damage. 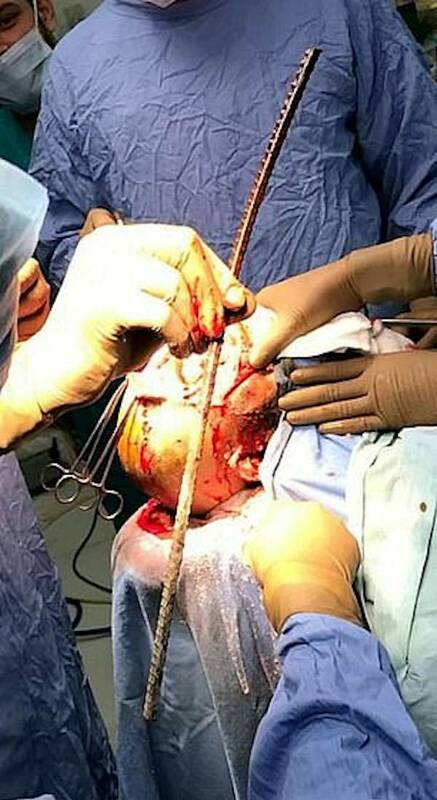 Removing the foreign object was done with extreme caution, of course, and required a whole team of neurosurgeons. Led by Dr. Pramod Giri, surgery took 90 minutes. To make things more complex, of course, this had to be done as rapidly as possible — as Bahe began to enter an expected yet dangerous phase of hypotension, or low blood pressure. In the end, the patient was successfully resuscitated and taken to the Neuron Hospital for further surgery. 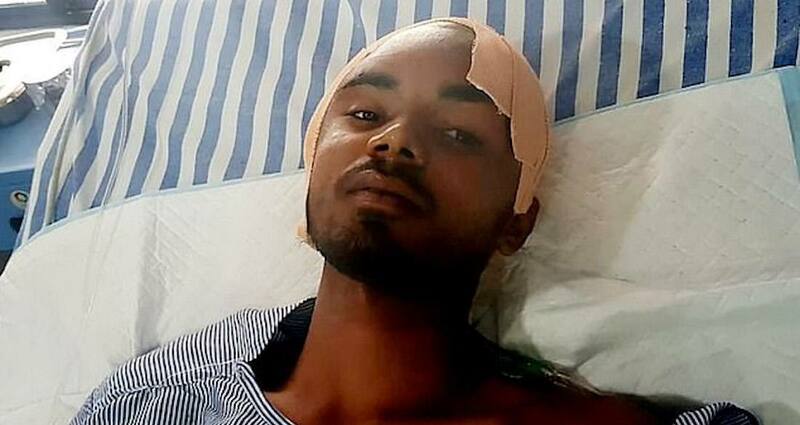 With the rod removed, Bahe’s vitals reached homeostasis and endured no irrevocable damage to his brain, making this incident an astounding example of stunningly good luck. India Photo Agency/SWNSBahe, mid-surgery with the rod finally removed. Dr. Giri explained that the rod was mere millimeters away from lethally rupturing the patient’s main blood channels to the brain. This would also explain why there was hardly any blood during the incident. India Photo Agency/SWNSSanjay Bahe alive and well after the surgery, with no known long-term damage. Sanjay Bahe works a job that puts him at risk on a daily basis. While he presumably got that through his head before the first day on the job, accidents like these are part of the gig. At least, similar accidents are — this is a one-of-a-kind scenario, to be sure. Fortunately, he had professionals such as Dr. Giri taking care of him. That, perhaps, was the luckiest thing of all. 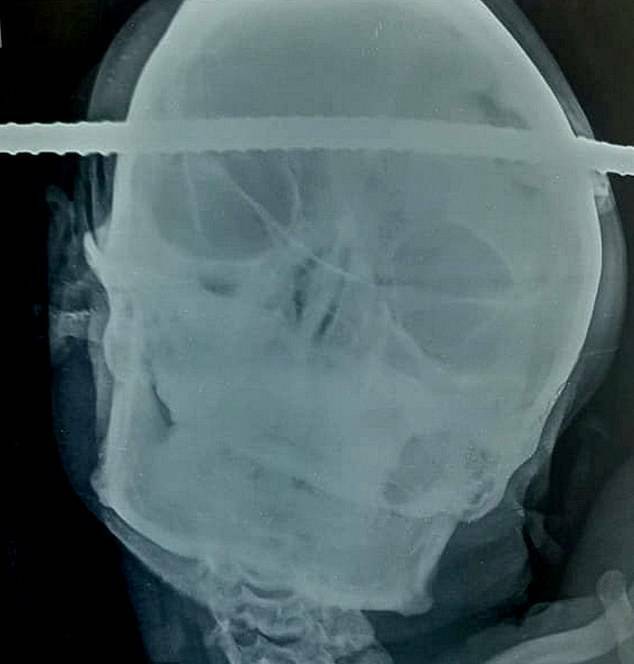 After learning about the construction worker who survived an iron rod through his skull, read about Phineas Gage, the man who had also had an iron rod shoot through his skull and was never the same afterward. Then, learn about Anatoli Bugorski, who was shot through the skull with a high-powered laser and lived.